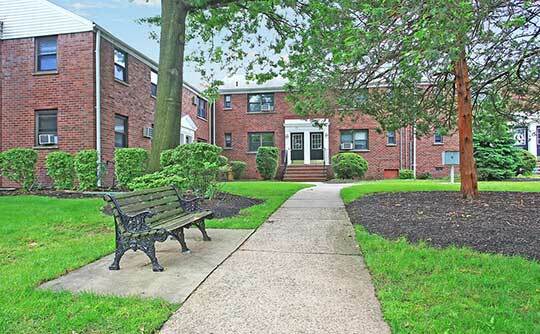 Boulevard Apartments features one and two bedroom apartments and townhomes for rent in Hasbrouck Heights, NJ. Located in a tranquil setting away from the hustle and bustle of city life, you’re still within easy access to public transportation, only seven miles away from New York City. Our apartments and townhomes provide a peaceful retreat for commuters looking to get out of the City after a long day at work or grad school. Our one and two bedroom apartments feature ample closet and living spaces. With additional storage units and private garages available, you’ll be able to live life comfortably at Boulevard Apartments in Hasbrouck Heights, NJ. Inside your new Hasbrouck Heights apartment or townhome at Boulevard Apartments, you’ll find beautiful hardwood floors. Many of our residents seek out homes with hardwood, as they are easier to clean and more resistant to stains and spills. 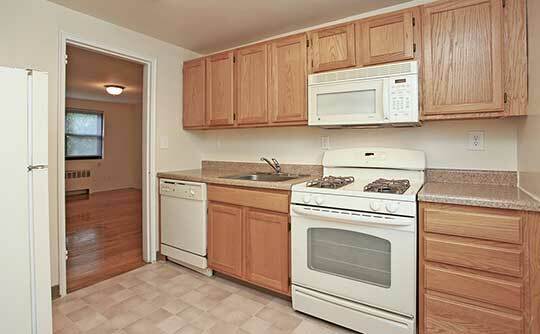 Many of our apartments feature recently renovated kitchens and bathrooms. Our full kitchens include energy-efficient appliances, including a dishwasher and refrigerator. Select homes also have a microwave for your convenience. Browse our selection of available floor plans and contact us to schedule a tour of your favorite Hasbrouck Heights apartments. We look forward to helping you make yourself at home at Boulevard Apartments.